These high performance knee sliders offer racers and track day riders great protection and exceptional feel when cornering at the limit. 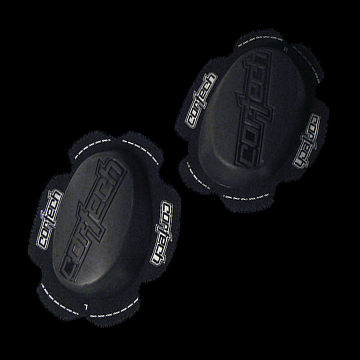 Designed specifically to attach to hook and loop areas these knee sliders mount securely and wear evenly. Developed and used by Cortech's top road racing pros on the MotoAmerica circuit. These sliders also make for a great performance option to Cortech Apex 2.0 Leather Pants for sport riding or track days.